It wasn’t long ago that I was stressing in my Go Vacation review that a sheer variety of minigames, activities, can be a massive draw in a game, but if those activities are sub-par, well, they can be a struggle to enjoy. The Yakuza series understands this, with a fantastically detailed supply of minigames and activities to indulge in every entry in the series. The WarioWare series is a bit of a different breed to either of them, honestly. Instead of having a large variety of detailed, but smaller experiences, there are no minigames here. Instead, there are microgames – dozens upon dozens of them, and they are thrown at you with such speed and ferocity that you won’t even have time to notice that, most of them, are barely worthy of a GameJam entry. 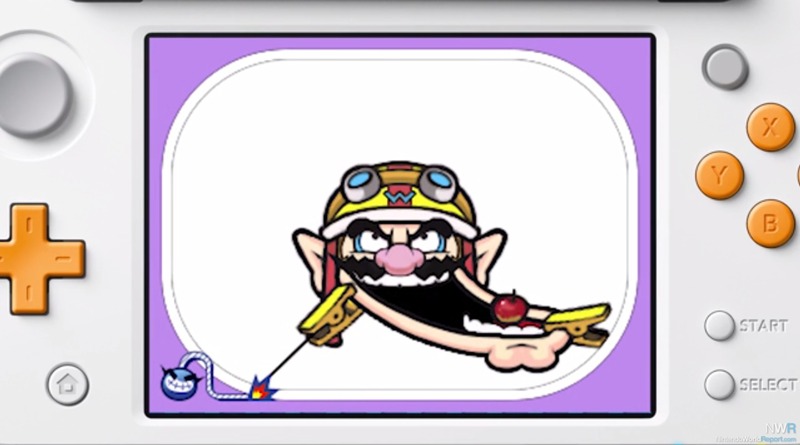 But that is absolutely the draw of WarioWare Gold. The games are so small, short, and simple, that the challenge isn’t in playing them, it’s in being able to complete them with speed and accuracy. 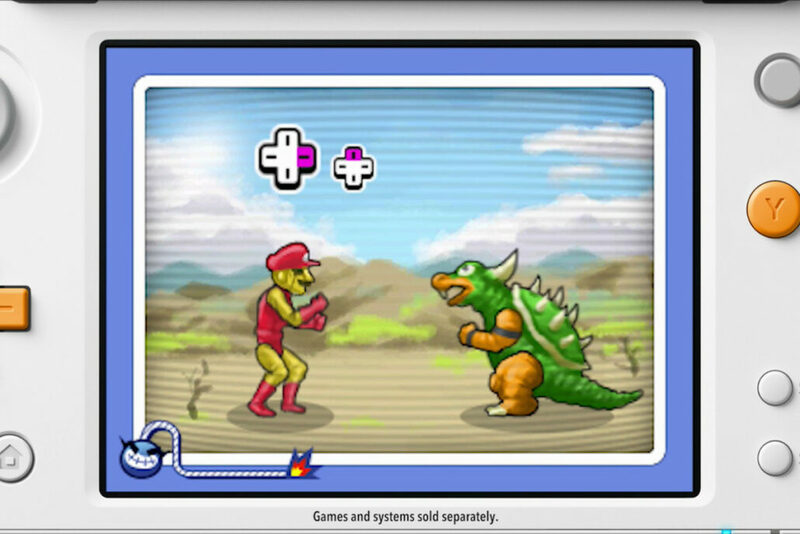 If you’re not already familiar with the WarioWare series, it’s Mario nemesis, Wario, making his own game, and his production values just aren’t quite up to the standards of his pal Mario, thus this collection of tiny, goofy and quirky microgames. Throughout the series, Wario has actually met a whole cast of new characters to hang out and play games with, and they all bring a shocking amount of personality to the game, which is revealed in fully voiced cutscenes. That’s right: fully voiced cutscenes. In a minigame collection. It’s crazy, and the Mario Bros’ voice actor Charles Martinet gives Wario such a strong personality and character that I think he might now have more voiced lines than Mario himself. But this goes for every member of the cast, from the fan-favorite Mona, the one with the catchy song Ashley, Nintendo fan 9-Volt, and ninja pair Kat and Ana. All of these characters and more have their own cutscenes and short story where they play games, hang out and get along. The game is honestly dripping with charm right off the bat, and those quirky games only enhance how endearing everything is. In some games you’ll be picking noses, sniffing snot, playing golf, fencing in pigs, slicing fruit – there are loads and loads of classic WarioWare microgames to play here, in addition to a bunch of brand new ones, new minigames (yes, minigames, which are actually larger than microgames), and interesting variations like Wario Interrupts, where Wario throws obstacles to make your game more difficult. But the main meat of WarioWare Gold is beating your own high score. The game starts with three leagues, Mash, Tilt and Touch, and the microgames in each league focus on that control method, with later leagues combining the microgames and introducing blowing mechanics. It gives you an incredibly safe place to start getting used to how the game controls in the different microgames, and how to play the microgames of course, before you start cranking up to higher levels and the game starts speeding things up. Nintendo have always loved doing this, finding novel ways to use their hardware, and that philosophy is in full force in WarioWare Gold. The only function that the game doesn’t make use of is stereoscopic 3D, which makes sense, seeing as the 2DS would need full compatibility. Still, it’s in the end of the console’s lifecycle that we can clearly see that stereoscopic 3D, while cool, was hardly the most essential feature. And unfortunately, not all of those features work as well as you would like them to. The Mash and Touch leagues work great – you would expect the console’s buttons and touchscreen to function well, after all – but the Tilt league, while very fun, doesn’t fare quite as well. The games are still just as fun as in every other league, it’s the hardware that lets it down. Sadly there are times where, like in the driving boss stage, your console’s gyro will be centered, well, off. You will be holding your console at a 45-degree angle, and the car you’re driving will be going directly forward. Failing this stage is, sadly, more of a case of struggling with the controls instead of game difficulty, and small struggles with the gyro persist in other tilt games. But, it is a minor point, and the gyro usually resets in between microgames, meaning the issues only arise in the longer boss stages. Other than that minor complaint? WarioWare Gold is a wonderful celebration of the series and a great place to play if you’re already a fan of WarioWare, or if you’re brand new to its wacky microgames. Review code provided by the publisher. You can purchase the game on Amazon.